A powerful thermal skin polisher that combines physical and chemical exfoliants to designed to help refine skin texture and enhance penetration of age-fighting actives into skin, while advanced technology ingredients condition and treat the skin. Contains no artificial fragrance or color. Unique thermal technology activates upon contact to help drive beneficial ingredients into skin. 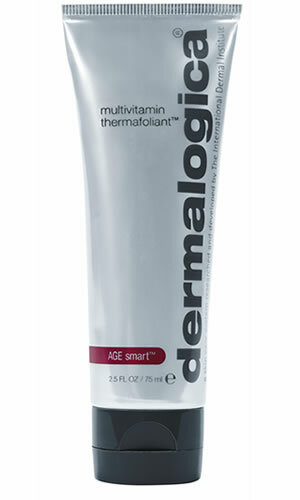 Lactic Acid and Salicylic Acid exfoliate to help achieve an instantly smooth skin surface. Opuntia Ficus Indica (Prickly Pear Cactus) Flower: boosts activity of skinÕs natural desquamation enzymes that are responsible for breaking desmosomal cell attachments. Camellia Sinensis (White Tea) Leaf: polyphenols protect skin from ROS while inhibiting collagen-degrading MMPs and the formation of AGEs. Glycine Soja (Soybean) Seed: a potent antioxidant that fights ROS, reduces inflammation, inhibits MMPs and stimulates new collagen synthesis while inhibiting the formation of AGEs. Glycyrrhiza Glabra (Licorice) Root: an anti-inflammatory, antioxidant extract that soothes and calms skin. Helps reduce the appearance of hyperpigmentation.